Did you know that our fingernails grow about five times as fast as our toenails? To understand the reason why nails grow, one must first delve a little into the biological composition of nails. Nails are made of fibers rich in protein, known as keratin. Basically, growth in nails occurs from the moon shaped area called as the growth plate, located at their base, just above the nail bed. There are many cells present in the nail bed which may be alive or dead, but more importantly, these cells are constantly multiplying, which makes them the prime reason for our nails growing. As these cells present in the nail bed continue to persist and divide into new cells, consequently the old cells keep getting pushed to the surface. This process keeps repeating itself until the old cells have been completely pushed to the surface. At this stage, there’s no space for the old cells to grow into, so they take recourse to growing into the fingertips, which is how we realize that our nails are actually growing. Nails are sensitive and tough simultaneously. They grow at different rates as per the seasons or conditions around them. They tend to grow slowly in the winter season, whereas at a rapid rate in the summer season. In children, nails grow at a very high pace. This is also because children themselves are growing all the time, besides; their intake is such that it boosts growth in nails by providing them just the right kind of nourishment. Interestingly, nails grow consistently and progressively until the age of twenty-five, after which they grow in a rather pedestrian manner. It would be pretty awkward if we weren’t allowed the use of nails for even a single day. Reason being, we use nails for a number of activities in our daily life, which only nails are adept at performing. Nails play a major role in protecting our fingertips, by providing them adequate cover and rigidity. They often help us to pick up those small frustrating things, which can be quite a task in the absence of fingernails. 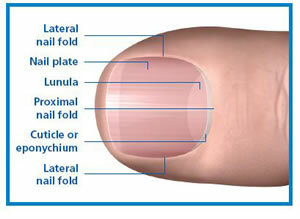 Apart from the utility aspect, nails also add to the aesthetics of a human body, by making our hands look beautiful.